This high-quality brass key ring is a unique conversation piece. Fits any 8 gram, 11.5 gram or 13 gram poker chip. With solid brass construction, the screw-top design allows you to swap out other chips to fit your mood. Or store a chip of your choice from your most memorable casino experience. 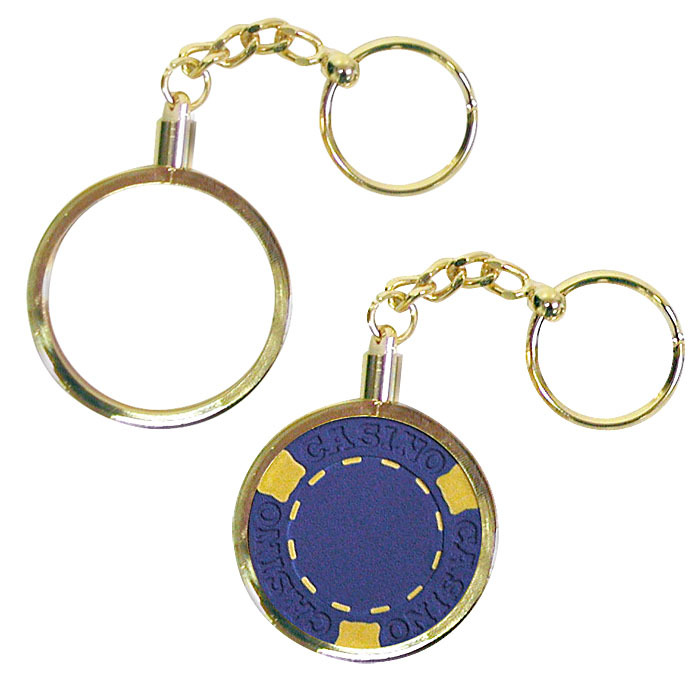 The next time you are out of chips, and you need one more to play that last game of Texas Hold'Em, use this keyring as an emergency and hit the big payoff! Casino chip not included.